Sugarlane Designs: Kneeding healing hugs! What can I say….when you’re down in the dumps and things just don’t seem to be going your way, where’s the best place to turn???? 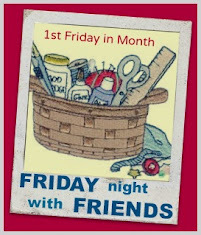 Quiltville in Blogland where you’ll find the most amazing Blog friends in the universe!!!!! Look what loveliness I got in the mail today from some very special bloggy friends…..I AM STOKED BEYOND BELIEF!!!!!! And when you look closely, the blocks are all signature blocks with a special message from some very special friends…. You guys have just blown me away….and I can’t believe you could sneak this past me on the WWW without me knowing about it!!!! If you could see my face…..just let me say, it looks very similar to the Cheshire cat from Alice in Wonderland!!!!!! I had been feeling a bit low lately because my knee’s not bending like it should, despite all the physio, and a few regrets have been going through my head; I’ve had the bronchial infection from hell which has made me not even want to sew (you know I’m really sick then!!!!) and life just seemed pear-shaped! Well, you guys changed all that…..a super-huge monster THANK YOU to my lovely friend DAWN who sneakily organised all this and all the ladies who thought enough of me to make a block….and those who just thought of me, even if you didn’t make one!!!! !…..I LOVES YA!!!! You are amazing and have put a bounce back in my step…….as Joy would say……You’re all just GAWJUS!!!!! How I got by before blogging, I’ll never know…..it’s such a supportive community….and to think I ummm’ed and ahhhh’ed for weeks before I posted my first post!!!! For those of you who ‘lurk’ (we love you too!) and think you couldn’t possibly have anything to share…….my advice? ?…….JUST DO IT!!!! You will never regret taking the first step….I know I haven’t! And to let you know where I’m at…..I am heading off to hospital tomorrow for what they call a ‘manipulation under anaesthetic’…..aka forceful physio when I’m knocked out!!!! Apparently because I’m so ‘young’ (lovely to hear someone acknowledge it at last!!!) my immune system tends to ‘reject’ the titanium implant and develops lots of scar tissue around it…this doesn’t happen so much in older people as their immune system is not so strong. (Pity I didn’t know this beforehand!!!!) The scar tissue is also healing around all the previous surgeries I’ve had over the years and preventing the joint from moving freely so…….hi ho, hi ho, it’s off to hospital we go!!!! It’s only an overnighter so I’ll be home again Wednesday with heaps of physio to do and lots more to share!!! Take care my lovely bloggy friends and *mwah* , you mean the world to me! The quilt looks lovely! It sounds like it came at the right time too, just when you needed a quilty hug. I'll be thimking of you tomorrow, I hope it goes better than expected. What a gorgeous quilt! But not a gorgeous as the sentiment and feeling behind it! Blogland is truly wonderful. Good luck with the trip to hospital! I'm chuffed to bits that you like your quilt so much .... isn't Dawnie just the sweetest angel to do that!!?! Sweet Wendy you so deserve it dear one!!! I do hope your poor knee gets better real soon .... sending 'great big sugary hugs' to you!!! What nice friends you have to make such a lovely quilt. Hope everything goes well for you at the hospital. Bless you darling girl!!! It was such a wonderful idea of Dawn's - bless 'er heart!! Bloss and I were chuffed to make a block, and now I can't wait to see it up close on Thursday when I come to visit. Take care and know that lots of prayers are winging heavenward that this procedure gets that knee working again. It's just beautiful Wendy, I'm sad that I couldn't make a block too but you're in my prayers - the procedure sounds awful but at least you'll be asleep for [hopefully] the worst of it. My friend had this done on her shoulder while awake. A little birdie [*G*] told us it was your birthday - so HAPPY BIRTHDAY TO YOU - I'm praying all goes well! Happy Birthday Wendy! I hope all goes well with your surgery and you recover fast. Happy birthday Wendy,hope the manipulation is not too painful so you can enjoy your Birthday. had I known about Dawns surprise quilt for you I would have sent a block as well. The quilt is beautiful. Congratulations and well done Dawn and her team. Happy Birthday, Wendy ... and in spite of the hospital stay, have a GREAT day! Trust that knee starts to co-operate soon. Hope they were not too unkind to you with your knee manipulation. Hope all goes better for you now and your knee behaves beautifully. I understand it's your birthday today! SO HAPPY BIRTHDAY.. and I hope your knee starts to feel better soon. Happy birthday. Love the quilt. Just gorgeous. What happy colours. Hope all goes well with your knee. Take care.